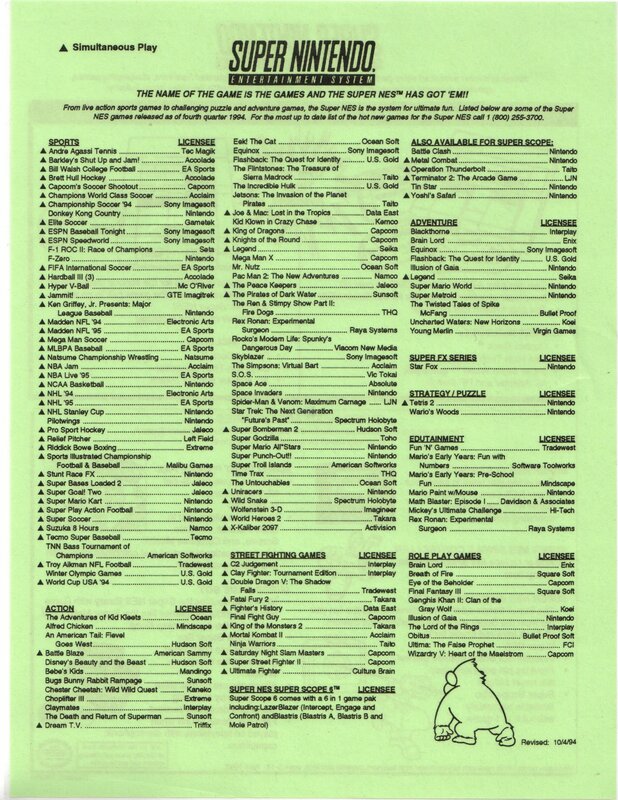 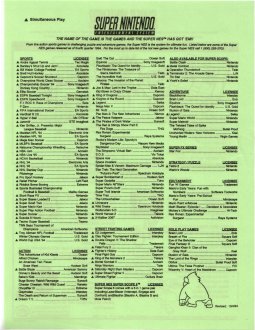 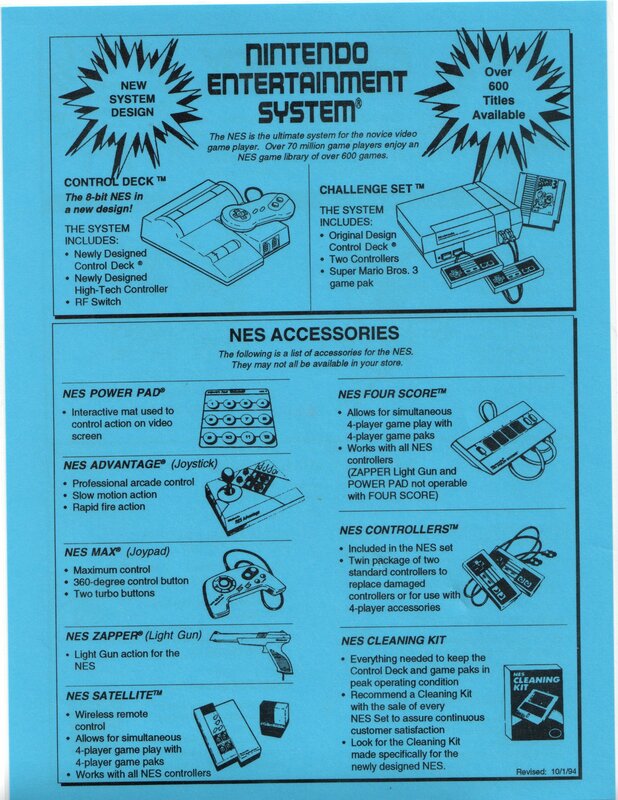 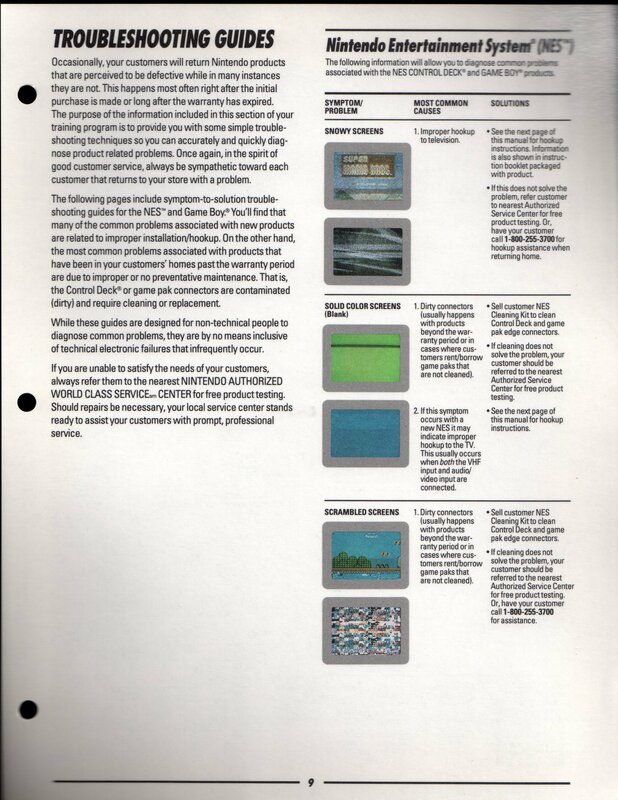 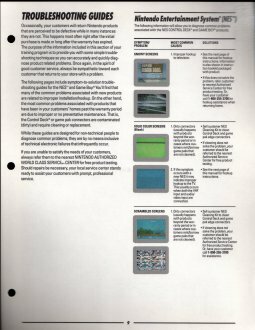 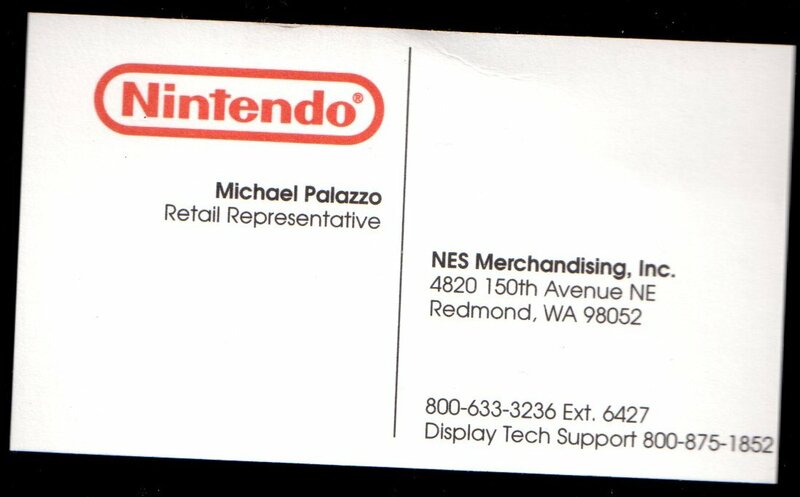 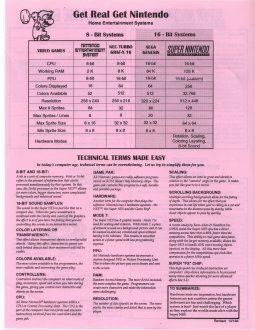 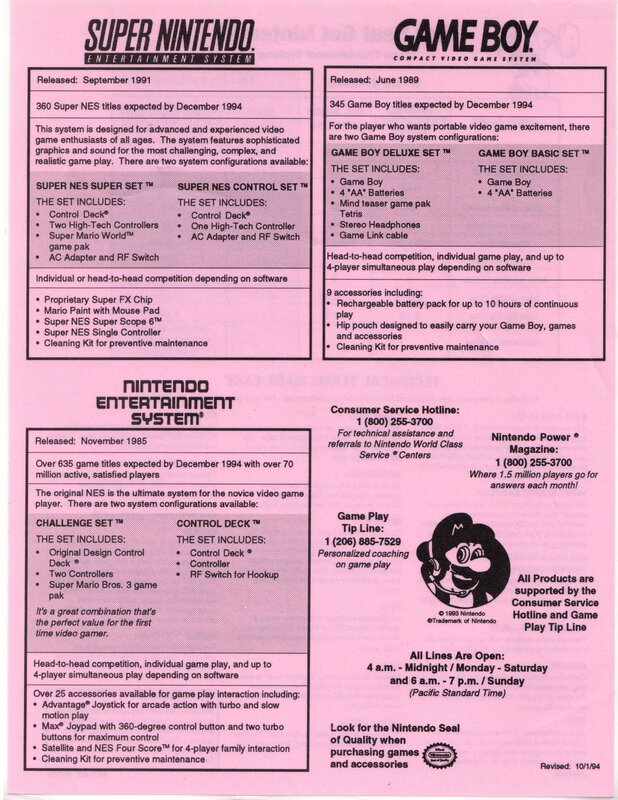 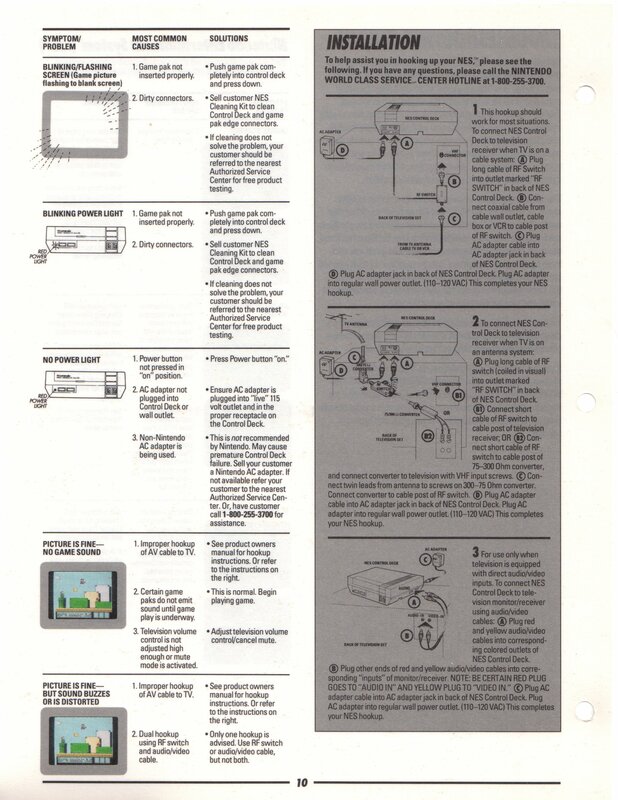 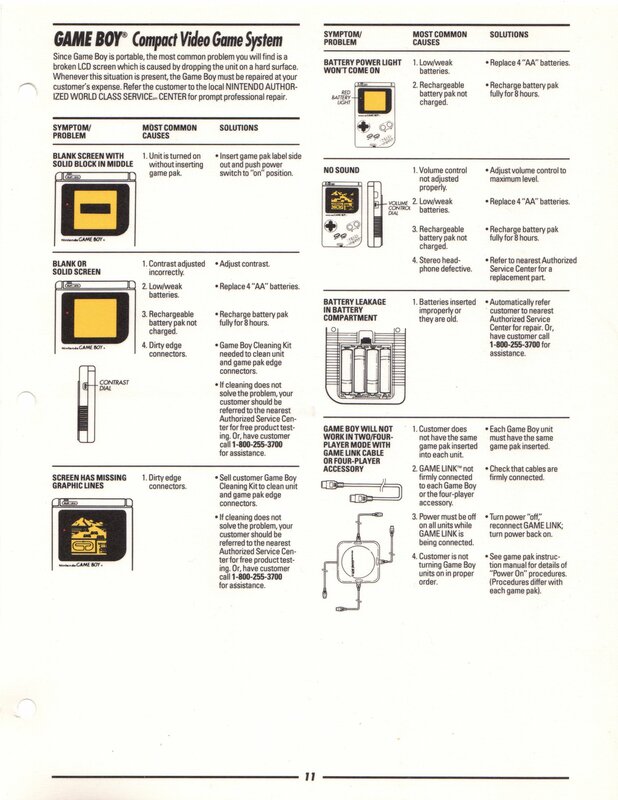 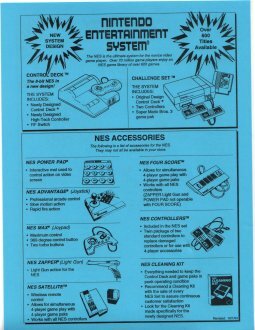 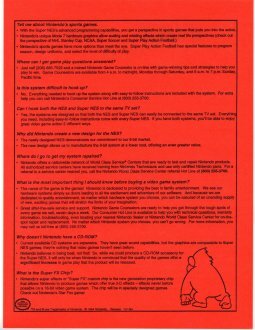 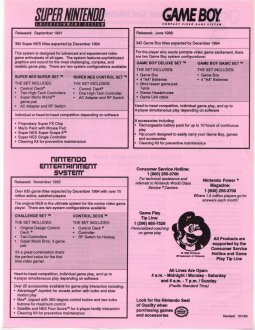 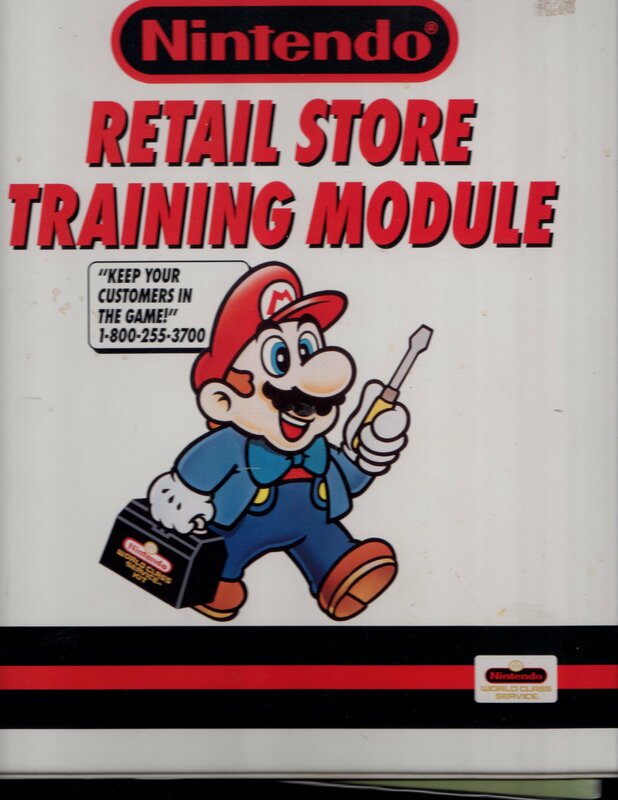 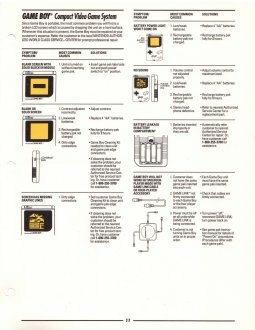 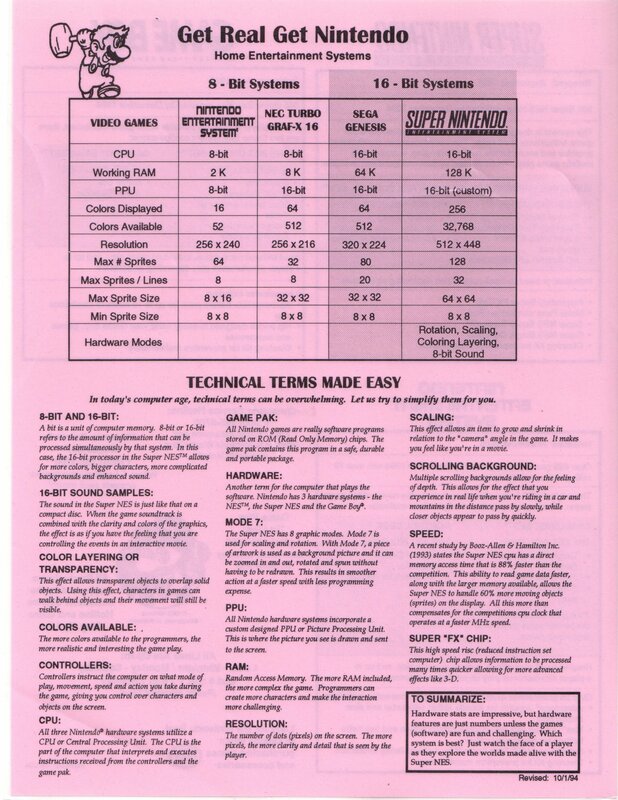 This Nintendo Retail Store Training Module was given to a game store by Michael Palazzo, a Nintendo of America retail representative, during the last days of the Nintendo Entertainment System in 1994. 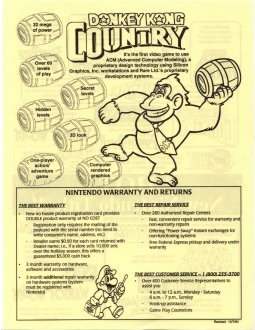 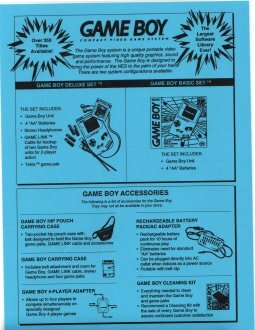 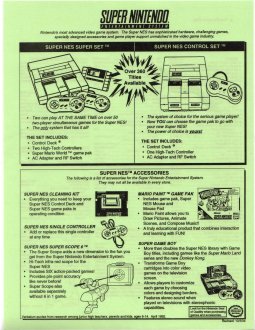 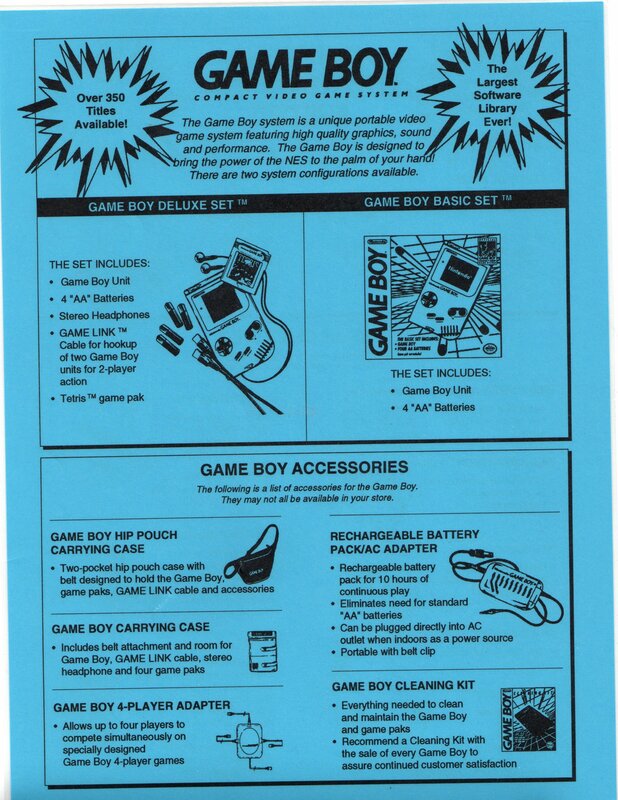 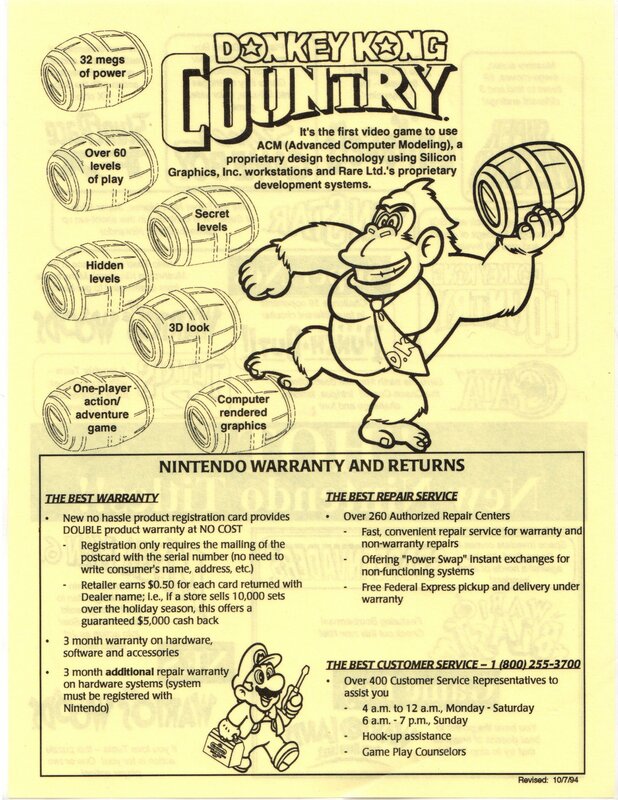 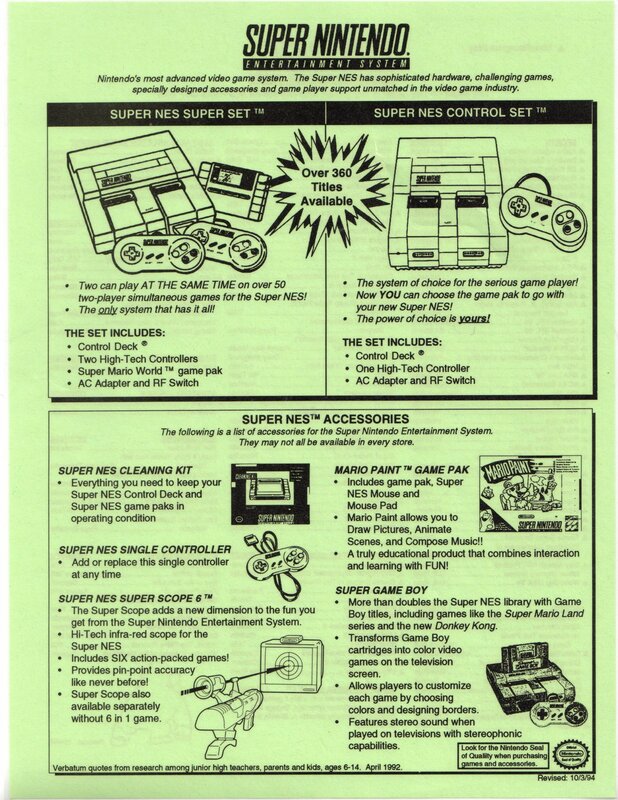 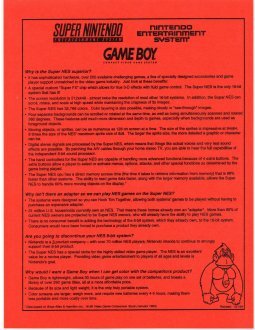 The binder’s contents include laminated troubleshooting guides for the aforementioned console and the Game Boy, technical comparisons between Nintendo’s 8-bit and 16-bit game machines, advertisements for new titles, and various FAQs that show some creative PR at work. 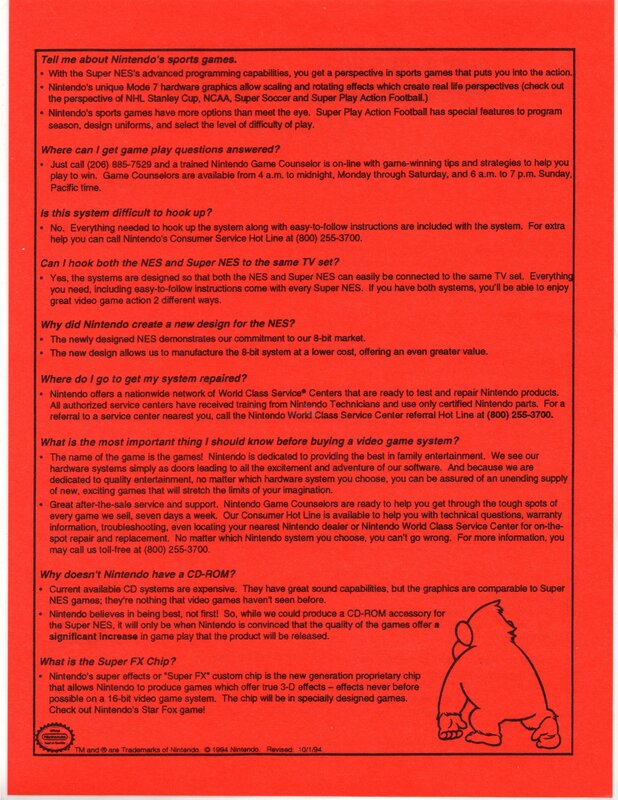 As an example of that PR, Nintendo came up with the phrase “Hook ‘Em Together” to explain why the Super Nintendo was not backwards compatible, stating that the two systems were actually designed to be stacked on top of one another, which would save consumers from having to purchase a costly adapter. 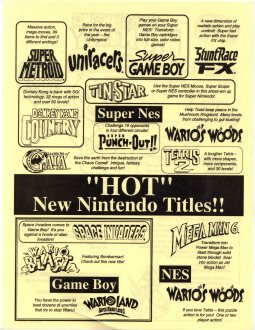 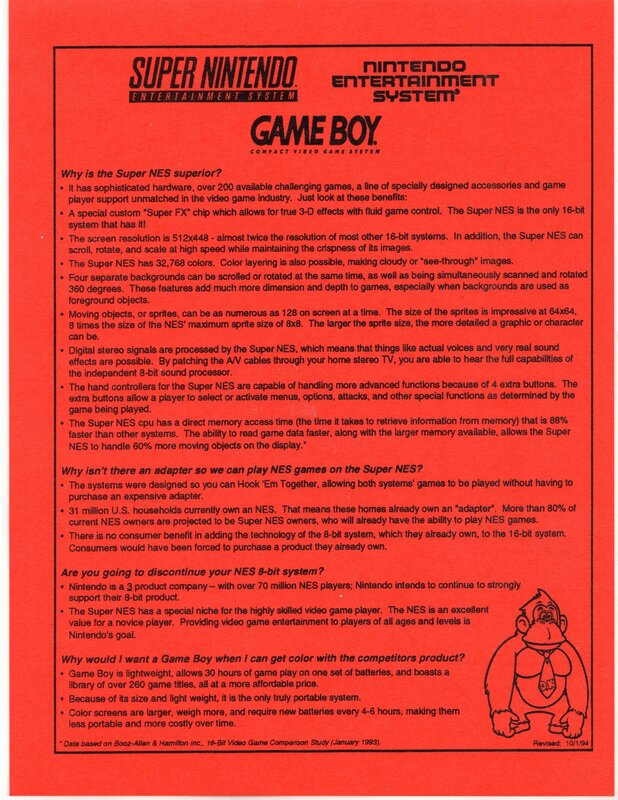 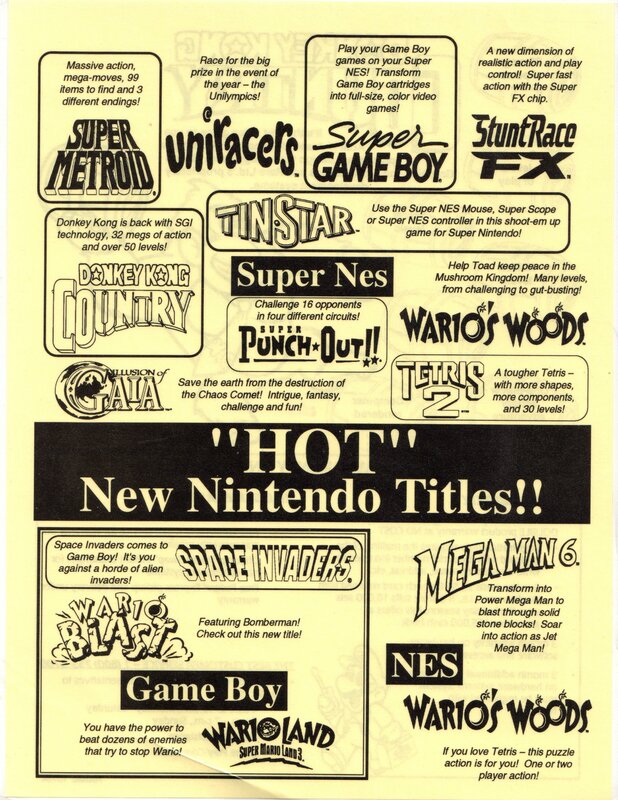 Nintendo also used some interesting reverse psychology, referring to the less costly Nintendo Entertainment System as the choice for “novice players,” while adding that the Super Nintendo caters to the more serious, experienced, “higly skilled” players because of its “high-tech controllers” and advanced technology.